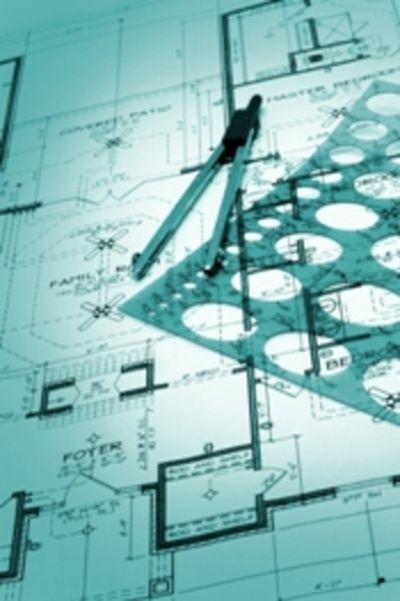 Site planning involves arranging structures on the land and shaping spaces between them. It is an art linked to architecture, and city planning. The site plan locates objects and activities in space and time. It may be concerned with a small cluster of houses, a single building and the surrounding space, or a small community built in a single operation. Environmental study for architectural design involves collection of data, reconnaissance survey, creative ability and imagination, and the design of solutions to solve building problems. When an architect is given a design assignment, there are many environmental factors that are to be considered. The site is the major factor that has to be considered. Site means the area or the land that is meant for the construction of the proposed project. Site Planning is the art and science of arranging the various portions of a particular piece of land according to their uses. The site planner decides on the uses of the site in detail by selecting and analyzing it for the various characteristics of soil, slope, vegetation, etc. The landscape involves the design of outside space. This should be thought about carefully to make an architectural design complete. The climate at the location at the site is very important as it affects the building that is to be constructed. Services such as water supply, drainage, sanitation, electricity, fire protection, air-conditioning system, etc. also have to be considered in order to make an architectural design complete. Each site has a unique nature of its own. The purpose for which it is to be used should be clearly understood. Every site when disturbed takes time to experience the mutual adjustment of its elements. For example, the flow of water creates a drainage pattern. Many factors are involved in the analysis of the site. These include the factors above the ground, below the ground and on the ground, as discussed in the following. The type of rock below the surface of soil, the depth, and the characteristic features of rock should be identified. Such rocks could act as a foundation for many buildings. These are natural and could form visible landforms. The stability of such geological formations is also important. The form of land is called its topography. This is the most important factor to be analysed. Geology and the slow process of natural erosion (soil being worn away because of wind or water) are responsible for landforms and slopes. A topographic survey will reveal the badly drained areas and natural drainage channels. It will be also reveal places that have good views and parts of the site that are visible or hidden from any selected point outside the site. The slopes will decide the roads and paths; a steep slope will increase building costs. Hydrography provides information about all types of water bodies present in and around the site: lakes, streams, any marshy land(swamps), or natural wells. It also reveals the availability or otherwise of a groundwater table and the depth at which it is available. The different types of soil present are analysed. Soil decides the stability of land, foundation, suitability, excavation, erosion, drainage, and plant growth(as the top soil is essential for good plant growth). The bearing capacity of soil is an important factor to be considered while locating buildings. A study of vegetation helps in locating large existing trees, which can be retained. These can be used for providing seating. The ecology of the area should also be examined to know what plants or shrubs would grow in that area. This is an important consideration when choosing sites for parks and recreation. Fishing and hunting are major recreational activities. The selection of land suitable for such activities depends on natural wildlife present in the area. Wildlife also adds form, colour and movement to the landscape. One might also want to be informed about the wildlife present in the area to preserve it and not disturb the animals natural habitats due to the construction. Across a piece of land, the elevation difference, character of topography, vegetation cover, and water bodies influence the climate of that area. On the other hand, precipitation and temperature are the major factors affecting vegetation. In cool and temperate climates, vegetation may be used to block winter winds. Traffic and transit-vehicular and pedestrian circulation on or adjacent to site. Utilities – sanitation , water, gas, electricity, stormwater drainage. Historic factors – historic buildings and landmarks. This implies a survey of the present status of the land-whether it is residential, commercial, industrial or recreational. The ownership of the adjacent site will also affect the land being surveyed. Offsite nuisances: Disturbances from outside and around the site have to be studied. Visual nuisance elements: Power lines, water tower, certain industrial complexes, highways, advertisement boards, junkyards(waste dumps), etc., are some examples of eye-sore elements that have to be taken into account. Possible auditory nuisance: Noise produced by heavy automobiles, trains, air traffic etc. and the surrounding population has to be studied. Olfactory nuisance: Dumps, chemicals, other wastes in and around the site have to be taken care of. Safety Hazards: Severe or sudden changes in landform, such as a steep cliff at the edge of the site have to be noted. This entry was posted by Benzu JK on December 12, 2009, 7:09 pm and is filed under Architecture. You can follow any responses to this entry through RSS 2.0. I hope you never stop! This is one of the best site to know a wide variety subject on Architecture. You’ve got some mad skill here, man. I just hope that you don’t lose your style because you’re definitely one of the coolest bloggers out there. Please keep it up because the internet needs someone like you spreading the word. Kindly email [email protected] for any professional services. Best site for concise to-the-point information! Thank you so much!